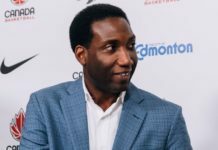 It didn’t take much time for Canada’s roster to get in sync over two games, as they defeated Brazil 94-67 on Monday night to secure a trip to China in 2019, qualifying for the FIBA Basketball World Cup. 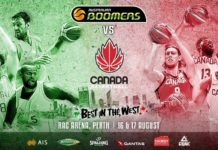 Kyle Wiltjer led Canada with 25 points and seven rebounds, and Phil Scrubb scored 15 points along with six assists. Three other players reached double-digit scoring for Canada, including Thomas Scrubb (14), Kyle Landry (10) and Duane Notice (10). Marquinhos Sousa had 17 points and four rebounds for Brazil, while Vitor Benite added 16 points. 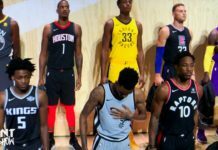 The previous matchup between the two teams took place on September 13th in Laval, Quebec, which saw a very different Canada roster come out on top with an 85-77 victory – a lineup that saw Kelly Olynyk lead the team with 20 points and 19 rebounds. 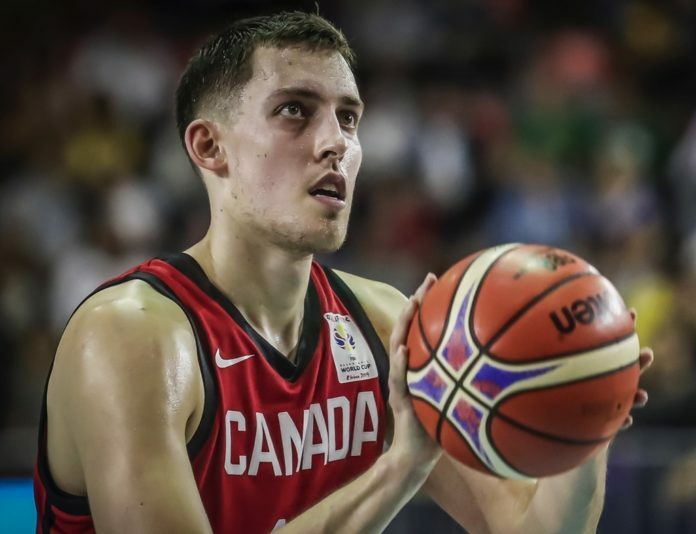 With a need to adjust, Canada’s game plan saw the team come out looking to establish an early three-point game, with Wiltjer making two of five 3-pointers alone in the first four minutes of the game. Anderson Varejao and Augusto Lima’s size could have presented issues for Canada, but Landry’s early substitution in the quarter provided a needed presence in the paint, and he eventually finished the game with five offensive rebounds and scored all four of his field goals within 10-feet of the basket. 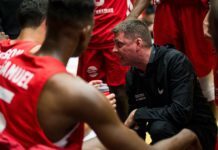 Team Canada Head Coach Roy Rana also looked to match lineups with Brazil, playing 11 players in the first 10 minutes as Canada ended the first quarter trailing 20-18. Canada came out in the second quarter on a 15-2 run, and a Joel Anthony layup helped grow the team’s lead to double digits for the first time in the game with 6:14 left in the period. 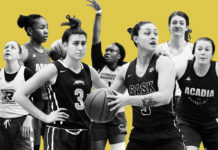 A couple of baskets and trips to the free throw line for Brazil’s Benite and Scott Machado helped narrow the Canadian lead back to 37-30, but on Canada’s last possession of the quarter, Scrubb was able to convert on an open drive coming out of a timeout giving Canada a 45-34 lead heading into halftime. The three ball continued to fall for Canada, as they opened the second half with five 3-pointers in the third quarter. Phil Scrubb was the aggressor in the period, scoring four of five field goal attempts, including two 3-pointers. 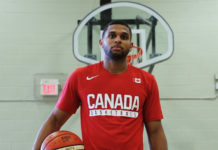 The Scrubb brothers fed off of each other on two possessions, with Thomas Scrubb finding his brother for a 3-pointer, and then Phil Scrubb would later connect with Thomas Scrubb on a long-distance shot of his own to give Canada a 67-48 lead with 2:34 remaining in the quarter. Canada’s coaching staff figured out a way to utilize all of their players in the right situations in this game, and Brazil had a difficult time containing Canada’s drives, perimeter shooting and transition offence for much of the night. Sousa would finally get going in the final 10 minutes of the game, scoring 10 of his 17 points in the quarter, but the chance for any major Brazil comeback was already far off in the distance. 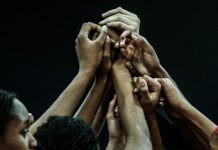 On Sunday night, seven teams qualified for the 2019 FIBA Basketball World Cup, including U.S.A., Venezuela and Argentina. Canada became the fourth out of seven teams to qualify in the Americas with tonight’s victory. They will return for the sixth and final window of play in February, as they head back home for two games in St. John’s, Newfoundland and Labrador. Kyle Wiltjer is rolling: Wiltjer looked even more comfortable tonight than the last game and showed great versatility as an offensive weapon. He looked very comfortable maneuvering around the 3-point line off of dribbles to find his shot, and when his 3’s stopped falling he was able to take it into the block on one play for a hook shot, and then down on the block for a fadeaway jumper on another. Wiltjer finished the game with 25 points on 9/17 shooting, along with seven rebounds and two steals. It’s too early to predict who will or will not be available next August/September for the World Cup, but Wiltjer has made a convincing case for himself to be included. 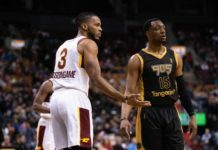 Landry and Notice has bigger impact: Kyle Landry and Duane Notice had quiet games on Friday versus Venezuela, but looked much more in rhythm in tonight’s game. 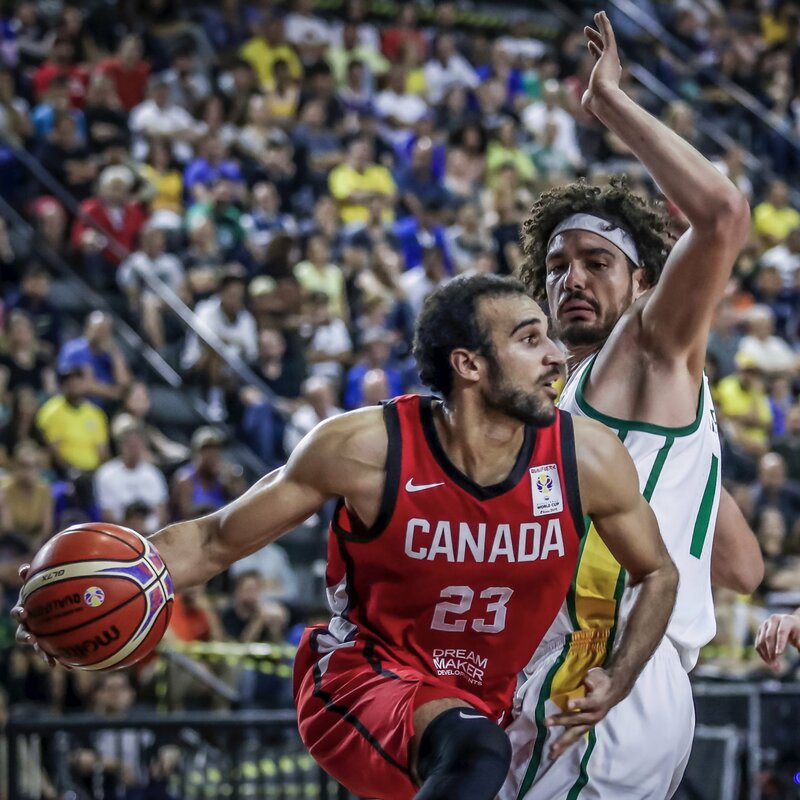 Landry saw a bump in minutes tonight from 3:28 to 17:42, as he provided Canada with defence and scoring in the paint against Brazil’s size. Meanwhile Notice’s driving ability made it hard for the defence to contain, especially with the shooting he was surrounded with. Landry and Notice finished with 10 points each. 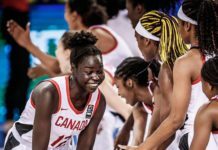 Lineup fluidity: This year’s theme in basketball circles seems to be fluidity, and Canada demonstrated that tonight. 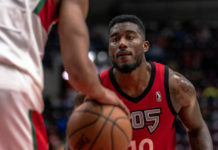 The coaching staff went with 11 players in the first quarter alone, and starting lineups even fluctuated from the first half to the second (Thomas Scrubb was subbed in for Heslip immediately in the opening seconds of the game, and Notice replaced Best to start the second half). 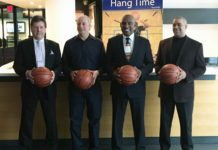 And in a game where six different players on the Canadian team recorded a 3-point field goal, Heslip wasn’t one of them. In fact, the Canadian sharp shooter only attempted three field goals tonight after scoring four of 12 against Venezuela. 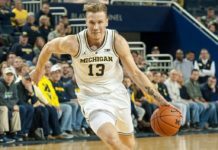 Another note on Conor Morgan: Conor Morgan is rightfully getting more attention after his previous game, and he saw the floor early in the first quarter tonight as one of the first substitutions. He knocked down a corner three and looked comfortable taking the shot. The six foot nine forward has been a significant contributor to his Divina Seguros Joventut club in Spain this season, and hopefully we get to see more of him in the sixth and final window in February.